Next meeting is Wednesday 15th November 2018 at 17:00, at One Life Hartlepool. The PPG are now an affiliated member of the National Association for Patient Participation (NAPP) until June 2019. Since Havelock Grange Practice evolved in 2009 there has been a Patient Participation Group. This group comprises of the original members from the individual Practices, known then as Havelock Practice & Grange House Surgery. Regular quarterly meetings have been held which includes representation from patients, Doctors and Practice Manager. We meet on a Wednesday at 17:00 in the One Life Hartlepool. The group discusses a range of topics from staff movements, appointment system, opening hours patient services and Consortia to name but a few. A recent directive from the Department of Health has since re-structured patient groups, please see Appendix 1. If you would like to join our group please do not hesitate to contact the Practice with your details. If you are happy for us to contact you by email please click the link below to open the sign-up form and complete all the fields. There are nineteen core members of the practice group. There are eleven female and eight males that cover a variety of age ranges from the practice population. These members bring a very broad spectrum of knowledge and experience from their time during and after employment within private, voluntary and NHS sectors. The practice continues to encourage further participation by advertising on the multi-media screens within the surgery of the group’s existence, dates and times of the meetings held quarterly. Together with the practice, the group have discussed ways and means of increasing its members, making it more representative. The practice is looking to set up an e-mail group who may wish to communicate in this way rather than actually attending at the practice. This should improve representation across all ages although surveys completed, does give an improved cross-representation. Our group met in June to discuss the new Directed Enhanced Service and the following is an extract from the minutes. MM to devise questionnaire and it was agreed to conduct the survey in August with the result being available for the next meeting. AE to summarise the complaints the Practice had received over the past year to see if there was a trend to which a solution could be found. We also agreed to have a suggestions box – with recommendations being fed back to the group. We also talked about encouraging patient surveys amongst clinical staff and to give some anonymised feedback from this to the patient group. The group also highlighted that having Podiatry present and inform them of their services etc. that they are then able to deliver this information to other patients etc. Future meetings would look to involve other services to help develop and shape future service deliverance to patients. 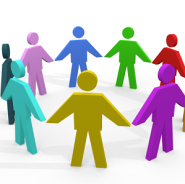 Group members to forward ideas of who they would like to invite to the next meeting. The survey was completed over a one-week period, for the results please refer to Appendix 2. The group met again in September and the following is an extract of the discussions. Survey Results were discussed and the group were happy with the results. It was agreed that telephone access, although it had improved since the last survey, was an area for further improvement. Appointments and continuity of care remain a much discussed topic, however due to the recent GP appointment of Dr Jacqueline McKenzie and the impending interview of a further GP we were hopeful that demand would be addressed. The Practice is aware of the difficulty with seeing the same GP however it was also felt that this would equally be addressed with the introduction of the GP’s. The practice is also aware that any future survey includes a better cross section of our patients e.g. housebound, nursing homes etc. A member of the group asked whether photographs of current GP’s could be displayed, faces are more easily to identify with than names. It was agreed to discuss this and maybe place pictures on our website. Recruit further new GP and Nurse Practitioner to improve patient access and continuity of care. Repeat survey in six months to assess improvement or to re-address issues. The survey was repeated in February as previously agreed with the group, please refer to Appendix 3. The results were discussed in March 2012 and the following is an extract of the discussions. The group discussed the results at length. There had been an increase in the number of forms completed but there were still groups of patients that the practice need to look to reach in order to get a better representation. The practice is to consider setting up a group of patients who would be willing to complete a questionnaire on-line. The practice will look into a way of contacting the housebound patients when the next survey is completed. The results have shown an improvement in all areas although there was agreement that we would like this to improve further. The practice proposed to the group that they would like to make a radical change to appointments that would improve access and continuity of care. The comments received by the practice show that the perception of a large majority of patients is that they are not allowed to pre-book an appointment. The change to the appointments at the Park Road site would be that all GPs with the exception of the Duty GP would have all but two of their appointments pre-bookable up to six weeks in advance. The two remaining appointments would be bookable 24 hours in advance. The Duty GP and Nurse Practitioner would have all their appointments bookable on the day to cater for those patients who have developed an immediate problem that requires attention. The group agreed for this to go ahead and also agreed that the practice should monitor the system closely as nobody wishes the practice to return to a position where all appointments are booked six weeks in advance. If any small changes are required to prevent this then the group were happy for these changes to be made before they next meet. It was agreed that this should be advertised to the practice population in advance via the multi-media screens and the right-hand side of the prescriptions. The practice has also agreed to offer a new government led initiative to offer telephone consultations. The practice will offer two telephone consultations per GP for each session that they work. These appointments will be pre-bookable up to six weeks in advance and will allow GPs to consult with patients via the telephone for sick notes, results and appropriate medication reviews etc. Staff will take the most appropriate contact number and the GP will contact the patients at some during the morning or afternoon the appointment is booked. The Practice has now completed its six monthly patient questionnaire, which does show an improvement especially with appointment availability and telephone access. These two areas continue to be monitored especially with the introduction of a new appointment system in November 2012. Please see Appendix 4 for all of the results.